Born in Germany in 1969, raised in Italy and educated in the United States, pianist, composer, and arts-presenter Antonio Ciacca began his career in jazz as a sideman for Art Farmer, James Moody, Lee Konitz, Jonny Griffin, Mark Murphy, Dave Liebman, and Steve Grossman. Grossman’s influence in particular— with whom Ciacca studied for three years—proved an important inspiration for Ciacca’s own style. In 1993, Ciacca moved to Detroit to study at Wayne State University with Kenny Barron, after which he studied privately with Jackie Byard in New York. Whilst living in Detroit, he was first exposed to gospel music, an influence he soon integrated it into his own developing style as a composer and performer; Ciacca eventually went on to produce a CD for the Detroit Gospel Singers. 1997 proved a key year for Ciacca, as saxophonist Steve Lacy invited Ciacca to join his quartet in a collaboration that would last for seven years. 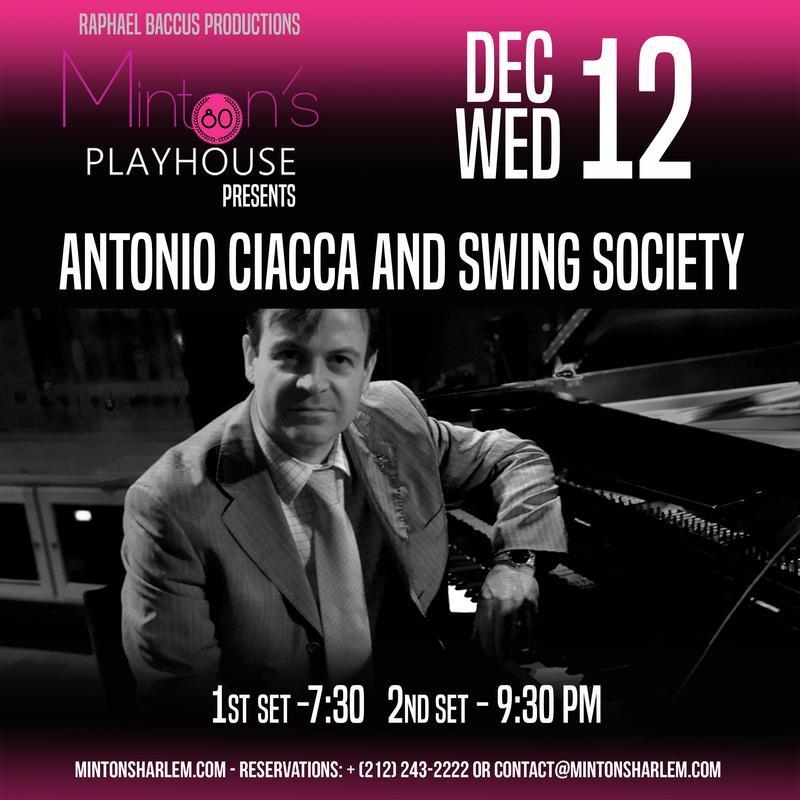 The same year, Antonio Ciacca met Wynton Marsalis, who would later become Ciacca’s colleague at Jazz at Lincoln Center, while Marsalis was performing in Italy with Elvin Jones. The following year, Ciacca began performing with saxophonist Benny Golson, who would continue to be a collaborator in Ciacca’s career. In 2007, Antonio Ciacca entered arts administration in the United States and assumed the role of Director of Programming at Jazz at Lincoln Center, working alongside Artistic Director Wynton Marsalis until 2011. From 2009 to 2012 Ciacca has been instructor at Juilliard School in New York teaching Business of Jazz. In 2011 became Artist in Residence at the Setai Hotel later Langham Place Hotel)on fifth avenue and 36th street in New York City. In 2013 market the Carnegie Hall debut where he performed with his trio (Paul Gill on bass and Peter Van Nostrand on drums) and with the New York Pops playing his music. In the fall of 2015 Antonio Ciacca has been appointed Artist in Residence at the Pierre Hotel in NYC and Composer in Residence at Shiloh Baptist Church in New Rochelle, NY. In May 2016 the Orchestra Giovanile del Teatro Garibaldi in Lucera (Italy) premiered his symphony n. 1 in G minor. In December 2016 Ciacca embarked on his first tour as conductor/composer and arranger with the Orchestra ICO Della Magna Grecia featuring Nate Brown and One Voice on a Christmas/Gospel tour in Italy.